What is the world's best city to be a biker in? The United States has a love affair with the car. At least until recently, the internal combustion engine has dominated what it means to commute. The car remains more than a mere form of transportation, it's a status symbol -- but that symbol is a dinosaur. With the cost of fuel skyrocketing and environmental conservation having become fashionable, a well-known 120-year-old invention is making a comeback. The bike in its well-worn simplicity is quickly becoming a major part of urban community transportation plans. Bicycles have numerous benefits, but it takes a serious commitment to city planning to make those benefits practical. Cities like Paris, while trying to be bicycle-friendly with programs like Velib', remain too large and frenetic to be considered truly bicycle-friendly. While it seems like America is just taking heed of this recent resurgence in bicycle culture, other urban areas the world over have long been ridiculously bicycle-friendly cities through their urban planning. 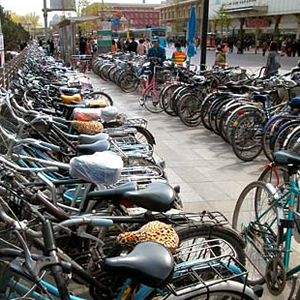 Here’s a list of the top 10 bicycle-friendly cities throughout the world. One of the biggest drawbacks to riding a bicycle has to be pedaling uphill. Sure, it's great exercise, but the idea of getting completely sweaty in a wool suit prior to the big meeting at the office makes driving a car seem more attractive. Trondheim has come up with a novel solution to riding uphill: The city features bicycle lifts that act like ski tows and allow the rider to glide up a hill without having to pedal. As in most developing countries, the car is on the rise. That being said, biking is still the best way to get around Beijing. Tons of people do it so you won’t be a lone rider, and the car traffic is so slow and congested, you’ll feel free as a bird by comparison. With China recently hosting the summer Olympics, air quality has been a major issue with the promotion of bicycle riding as a prominent policy push. Among the now-standard bike lanes, signals and maps that are ubiquitous in major European cities, Barcelona also has created a green ring that runs the perimeter of the urban core. 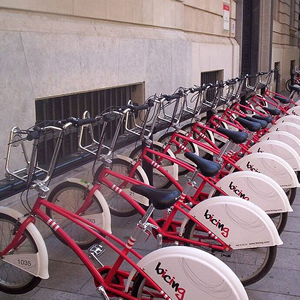 This bike path is peppered with 100 different bike stations as part of Barcelona's bike -haring program, allowing riders to rent and drop off at different locations. Point-to-point user mobility has been a major push here. Basel features street lanes specifically geared toward bicycle riders and include left-hand turn lanes that are unique to riders. Try finding that in any major American city. 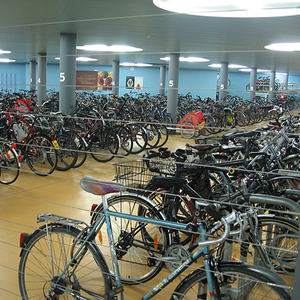 Basel also supports a robust network of bike-rental programs that allow tourists and residents alike to ride without the cumbersome storage issue. Portland, like most cities on the West Coast of the United States, has various population centers that are connected through roads that act like arteries. 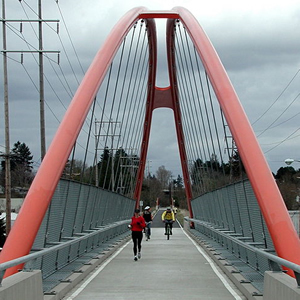 Portland has gone a slightly different route; by creating bicycle paths that connect the urban neighborhoods, a rider can bypass auto commuting altogether. The city also offers low-cost commuter bicycles to the city's less wealthy residents. These bikes come complete with a helmet, lock, pump, maps, and rain gear, a necessity in the Pacific Northwest. With over 260 miles of trails and paths, Portland achieves a commuter rate of nearly 9% -- quite a feat for the car-centric States. Two years ago, Montreal embarked on an ambitious $134 million plan to revamp the city’s bike trails and create a more bicycle-friendly atmosphere. The plan included incorporating bicycle-friendly lock points into standard parking meters, which has greatly reduced the standard (albeit illegal) practice of chaining your ride to whatever immovable post might be available. The city currently boasts 2,400 miles of trails with plans to expand. 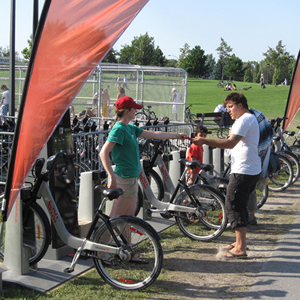 Montreal also has the first urban bike-share infrastructure in North America, the Bixi program. The company has been so successful that rollouts in London, Melbourne, Minneapolis and Washington have followed the Montreal start-up. 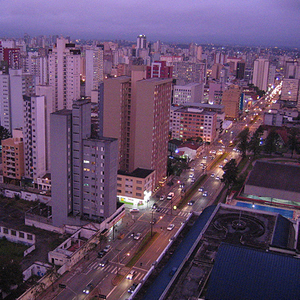 Curitiba is perhaps the most well-planned city in the world, and bicycle integration is at its core. The city has been pushing cycling as the go-to mode of transportation for more than 40 years and the result has been the ubiquity of bike lanes. Brazilians have made a commitment to alternative fuels and eco-friendly transportation methods. In addition to the infrastructure, a vibrant bike-oriented activist community exists to promote bicycle riding as an alternative to auto congestion. 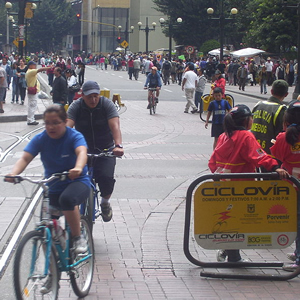 While some of the government programs for bike riding aren't as robust as those in Europe or even in America, Bogota has a demographic advantage that makes it a bicycle-friendly city. Only 13% of residents own cars, which makes bicycles something of a necessity. In fact, once a week, the city closes over 70 miles of streets to vehicle traffic so that bicycle riders, joggers, skaters and others can enjoy the streets without fear of being run over. 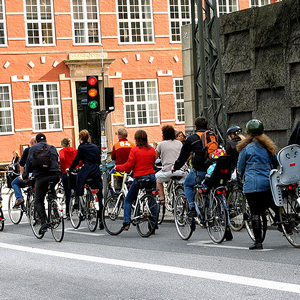 These days, a full 32% of Copenhagen residents are biking to work on a regular basis. The city's pro-bike culture goes so far as to allow you to rent a public bike for free -- free in the sense that your deposit is returned when you return the bike. 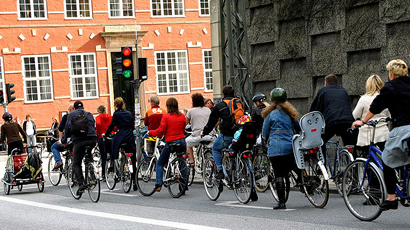 Denmark's current bicycle infrastructure has achieved a commute that is both quick and practical. 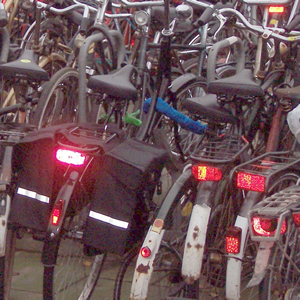 Amsterdam’s the top of the top when it comes to bicycle-friendly cities. Nearly 40% of all commutes that take place in Amsterdam are done by bicycle. Remember, riding a bike under the influence is a bad idea. Public bikes are available to rent and plans to construct a massive bike parking structure at the city's main train station are underway, virtually eliminating any need for private cars. על איזה סעיף בהנחיות לתכנון שבילי אופניים לא עבר שביל האופניים שנסלל ברחוב אבן גבירול? Bicycle Transportation - How to stop Talking & start Doing?